I don’t know what the weather was 500 years ago, but last June I had to stand under a tent to keep from melting. I was in Morganton, NC, at the Berry excavation site of possibly the first European settlement in the US interior. Hernando de Soto came through this Native American town of Joara in 1540, but he didn’t stop to visit. Our guide last summer described an exciting clash of two cultures when Juan Pardo marched in and built Ft. San Juan in 1567. Imagine being an Indian fishing outside your village, minding your own business, and a neighbor comes up the Catawba River to tell you there is an army of 120 white people headed your way. I guess you hope they would keep moving like de Soto did. On the other side, imagine being a Spanish soldier walking into a town of 350 people who don’t speak your language. You don’t have supplies. You are dependent upon them for food because the army’s assignment is to march from the SC coast to Mexico to transport gold. Nobody has a map. The Indians were generous, maybe the first indication of southern hospitality. They let these strangers stay for eighteen months, free room and board and entertainment. At least until they built their own place. The Spanish might have indicated they were taking over the village in the name of the King of Spain, and they would allow the Indians to become Christians. The Natives didn’t understand what these guys were saying, but the Spanish made a record of the conquest which the lone survivor took back to the fort in SC. Along with the Indian maiden he was allowed to marry and carry after the fort was burned. At the edge of ancient mounds, archaeologists are peeling secrets from layers of soil, finding pottery dropped hundreds of years before. 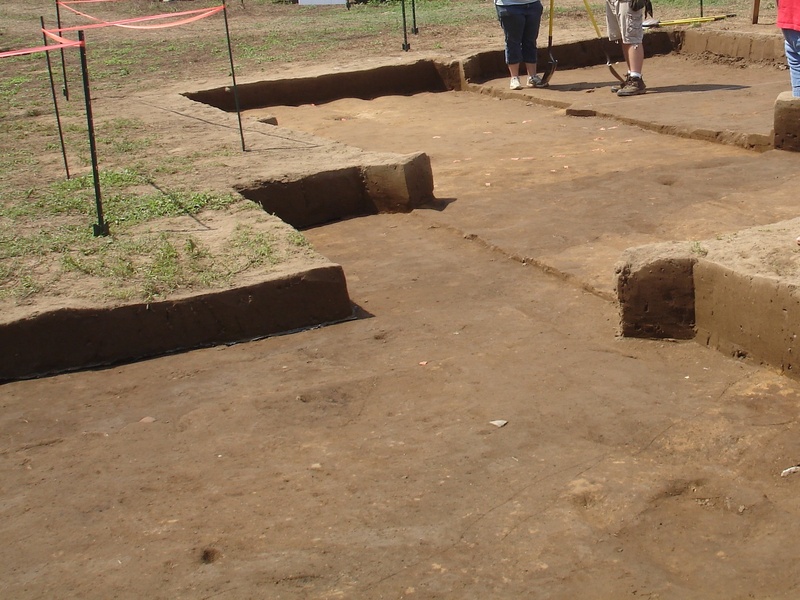 They look for clues to prove the mounds were built before the Spanish arrived. This summer I will check in for an update to this exciting tale of local history.